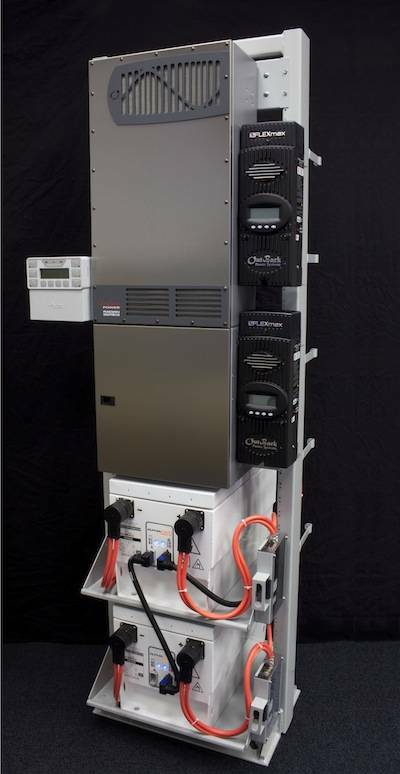 Battery hybrid provides clean, quiet, fuel‐efficient research platform on Long Island Sound. Corvus Energy, Northern Lights and BAE systems now power Spirit of the Sound, a floating marine education classroom and research vessel. The vessel, a 65‐foot catamaran, will operate in Long Island Sound for The Norwalk Aquarium in Connecticut. The Corvus Energy lithium battery will provide the high-density energy storage for propulsion and house loads. Two 100kw diesel Lugger L1064A generators from Northern Lights will be used to recharge batteries as well as a boost when propulsion demand outpaces battery capacity. BAE Systems provided a new design of hybrid marine propulsion (known as HybriDrive) that allows placement of individual components anywhere in the vessel, providing the best weight and space usage possible. A solar array and wind turbine provide supplementary power for the navigational and scientific equipment. Combined, the technology will reduce diesel fuel consumption by an estimated 75 percent or more. The new vessel will offer both a climate-controlled indoor classroom and an outdoor research space with total capacity of 65, more than doubling that of the Aquarium’s current boat. The aquarium expects to double the number of school children who can experience our programming out on Long Island Sound, to some 10,000 a year. Running quietly on electric will be a benefit to wildlife, to other boaters and to the delivery of educational programs on board.